Alzinger - a Dinner Featuring Wines from the 80's and 90's. I've been told that most Austrian wine is consumed at home in Austria, and that most of this is consumed while still young. Whether or not this is true I do not know. But I've noticed that there is never any old Austrian wine included in the offers that flood our in-boxes selling great wines from back vintages. I almost never see back vintages on the shelves at good wine stores, and the only people I know who have old Austrian wines are serious collectors who have been following these wines for some time. So, it is a rare opportunity to drink a mature Austrian wine. To drink a large sample in one evening, with friends and a lovely dinner - this is something that I've done on only one prior occasion. But Jamie Wolff, a partner at Chambers Street Wines, saved a number of bottles from a cellar that the store purchased back in 2007. There are many great wine producers in Austria, but Leo (and now also his son Leo) Alzinger is unquestionably one of the very finest. 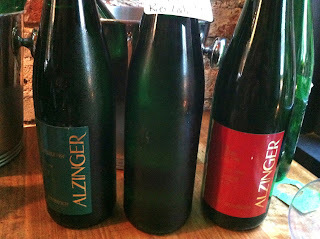 It is Alzinger wines from the 1980's and 1990's that Jamie held onto. He decided to invite some local Austrian wine lovers, who of course also brought along some great bottles, and to share everything over dinner at Trestle on Tenth. Austria's Wachau wine region is rather warm in general and the wines, particularly the Smaragds, the wines made from the ripest and highest quality grapes, can be big and rich with alcohol that regularly hits 14%. Some of Austria's greatest producers, Hirtzberger for example make wines in that style, and they are great. 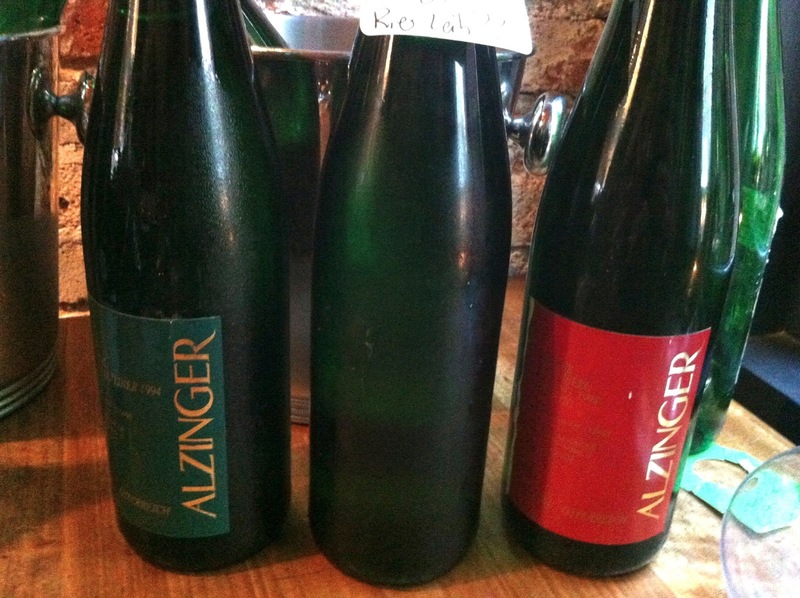 Alzinger is known as a producer whose wines show less muscle. The wines come from some of the very finest vineyards in the Wachau, and thrive on their clarity and precision. In my rather limited experience with Austrian wine Alzinger is already a favorite (if not the favorite) and so I was more than a little bit excited to have the opportunity to drink these old wines on this night. ---People like to say that Burgundy is a crap-shoot. The more wine I drink, the more I understand that this notion is utter malarkey. Or at least, that Burgundy in particular produces wines that do not provide the pleasure that is to be expected. If you sit down with 10 tightly grouped vintages of most of the world's great wines, some will deliver and other will disappoint. I think that's just part of the game. --We drank 4 wines from the 1980's. One, the 1987 Riesling Kabinett Trocken Loibenberg, was corked. The other three were fantastic. One was the 1985 Riesling Loiben (not sure what that means actually - maybe a blend of different vineyards in that village?). This wine was so satisfying and delicious. 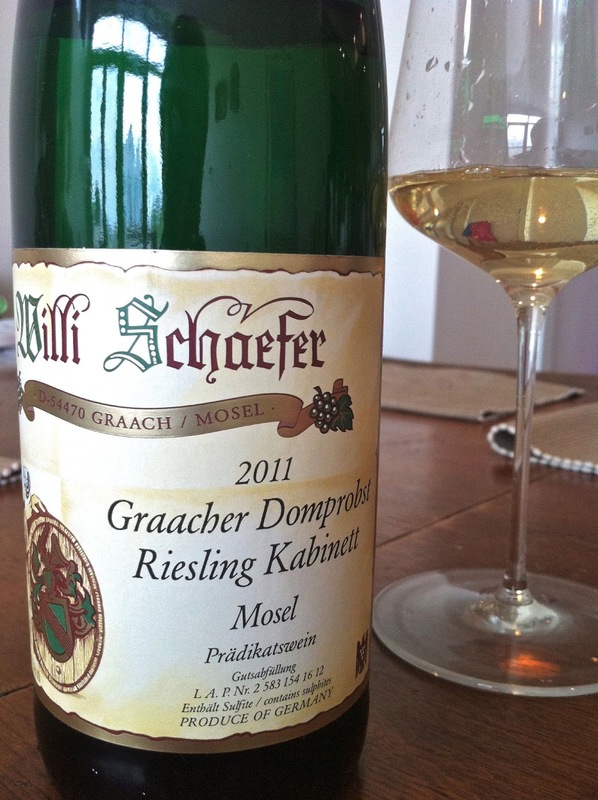 I loved its full, honeyed and mineral nose - so complex and harmonious, just gorgeous. The palate was all rock. Lovely, but not with the same sensuality as the nose. Still, this was quite the advertisement for cellaring Austrian Riesling. 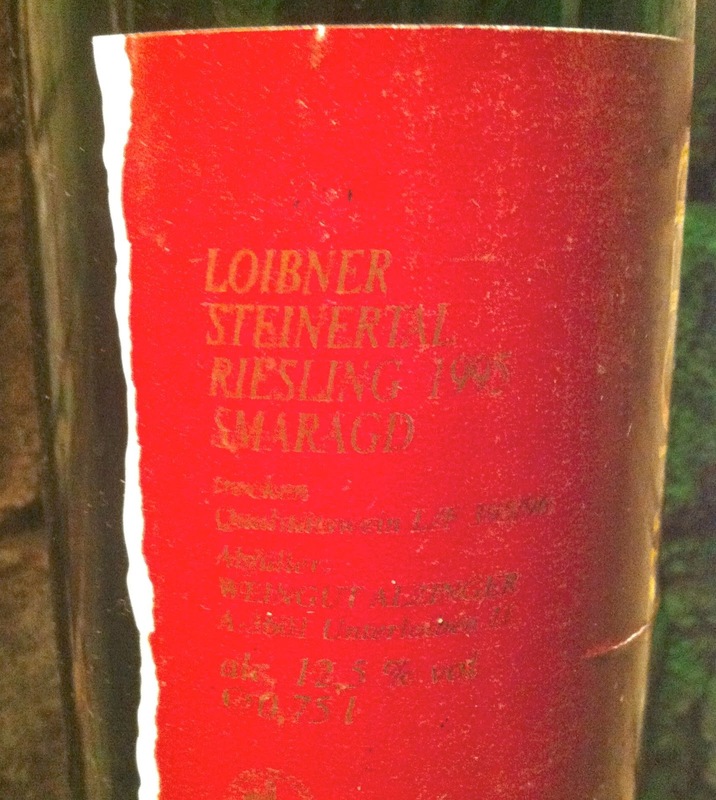 Another was the 1989 Riesling Smaragd Loibenberg. This was even better, I thought, a more complete wine. The nose again was glorious - rich, honeyed, and very complex, and showing more finesse, more lightness and lift relative to the 1985. The palate was bone dry and intensely mineral, very expressive and long. This was a profound wine, and something to hope for in cellaring current Alzinger vintages. --I learned a little bit about the differences between the various Wachau vineyards. We drank wines from Loibenberg, Hollerin, and Steinertal (and one wine from Hohereck). Hollerin seems to give wines whose overall impression is bigger in body and richness than either of Loibenberg or Steinertal. There is a striking and unadorned beauty of fruit in some of the Hollerin wines. Loibernberg seemed to achieve the same degree of richness and power but also a certain precision that is not part of the Hollerin package. The best Loibernberg wines, for me 1989 and 1995, achieved a gorgeous harmony between richness and delicacy. I don't even know what to say about Steinertal. It gave the finest wines, I thought. As good as some of the others were, the best Steinertals were just better. --Vintages...1994 seems not to have held up well for the Alzinger wines. 2001 also - I found those wines to be oxidized and problematic (others liked them). 1999 was uclear - we drank Liebenberg and Steinertal Gruner Veltliner and if the Liebenberg was representative then it was not terribly successful. Steinertal was good but felt a little heavy and showed a bit of heat. Perhaps the warmer vintages are not the best ones at Alzinger? 1995 seems to be a great vintage for these wines. Vintage charts should probably not be treated as gospel when thinking about Alzinger wines. 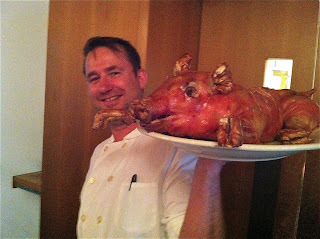 --We drank these wines with a variety of dishes, many were hearty and pungent, including a whole roast pig. The wines more than held their own. --Although there were some disappointing wines, those that were good were so good! This evening renewed my commitment to buy and cellar some of the great Austrian Rieslings each year. 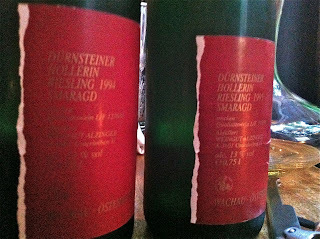 1993 Alzinger Riesling Smaragd Hollerin - Fuller and richer on the nose than the 1993 Loibenberg. The fruit feels riper, heavier. But the wine is balanced and ultimately lovely and quite complex. The fruit here is beautiful. 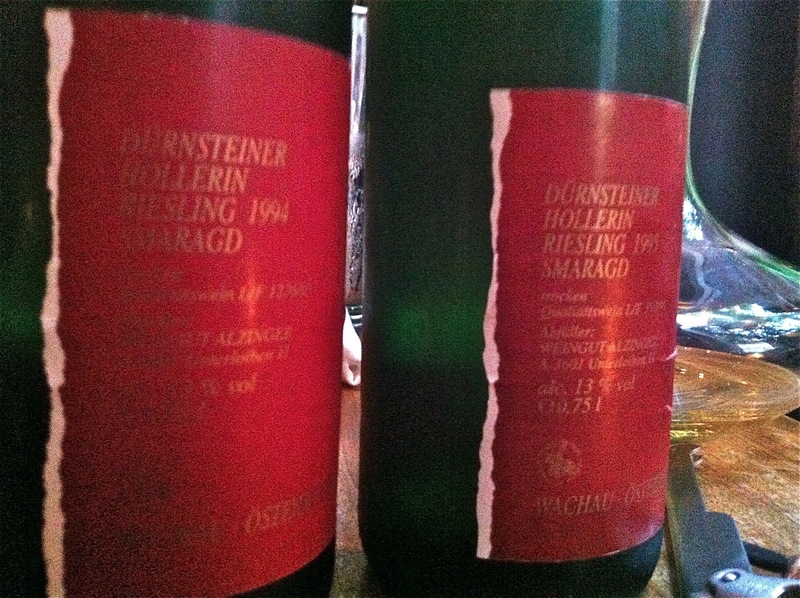 1995 Alzinger Riesling Smaragd Hollerin - The most balanced and compelling of the Hollerin wines. 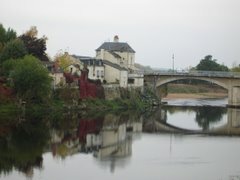 Still shows that bigness, but also a more perfect sense of harmony. Wonderful wine and if there weren't 23 other wines on the table this would have been the superstar of any evening. 1994 Alzinger Gruner Veltliner Smaragd Steinertal - the best of the 1994 wines, I thought, with an intriguing nose of lemongrass and fresh herbs like tarragon and anise. The nose had a delicate side and required some attention. The palate was not as interesting, however, and showed a bit bigger and with less detail than I expected based on the nose. Still, a win worthy of the name. 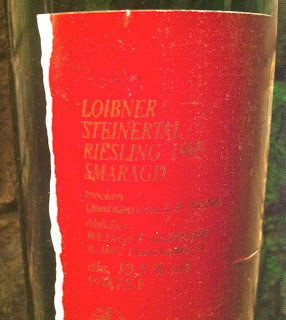 1995 Alzinger Riesling Smaragd Steinertal - Gorgeous nose, airy, fresh, and harmonious. Such complex and precise detail too. 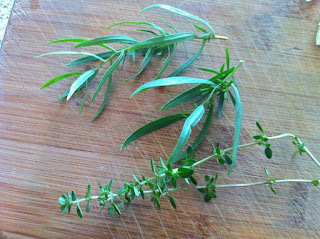 I was smelling tomato plants (I've been doing some gardening lately and I recognized the smell), pungent and almost stinky floral tones, and vivid minerals. The acidity in this wine was so beautifully integrated, present everywhere but never jutting out. Beautiful wine. 1995 Alzinger Riesling Smaragd Loibenberg - Clear as a bell, perfect harmony of smoky minerals, ripe and lovely fruit, and something like green peas. Subtle and graceful for all of its power. The palate is mouth-filling and intense but not overdone, and yet in contrast with the delicate aspects of the nose. Between this wine and the 1989 Loibenberg I learned that Loibenberg is something special (I thought it was all about the Steinertal). There were many other wines and I could prattle on longer, I assure you. Suffice it to say though, that mature Alzinger...whoa! 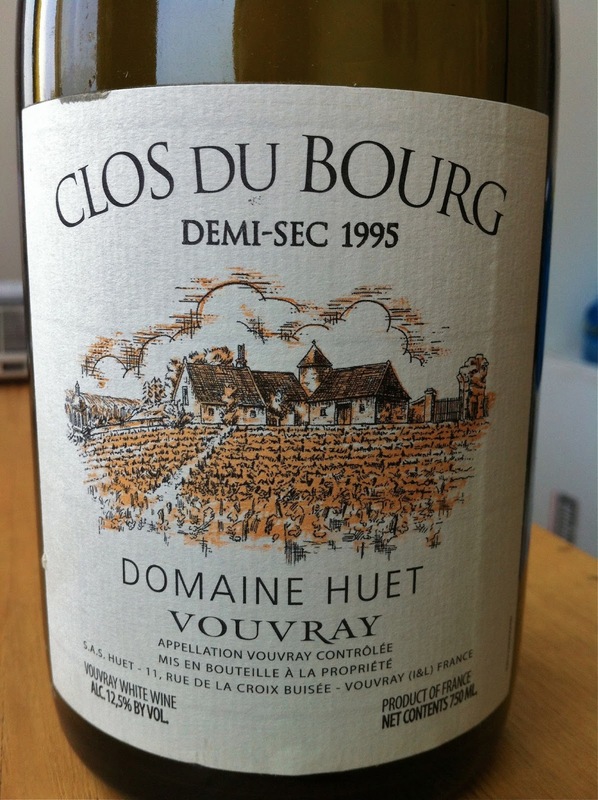 Domaine Huet - Recent Changes and a few Old Bottles. A little over a year ago Noel Pinguet resigned his position as the wine maker at Domaine Huet, the Loire Valley legend that is generally considered to be its finest producer of Vouvray wines. 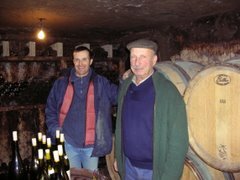 Noel took over from his father Gaston in 1976 and continued in his footsteps making the highest possible quality wines from the estates three vineyards (Le Haut-Lie, Le Mont, and Clos du Bourg) and in all styles (sec or dry, demi-sec or off-dry, and moelleux or sweet). 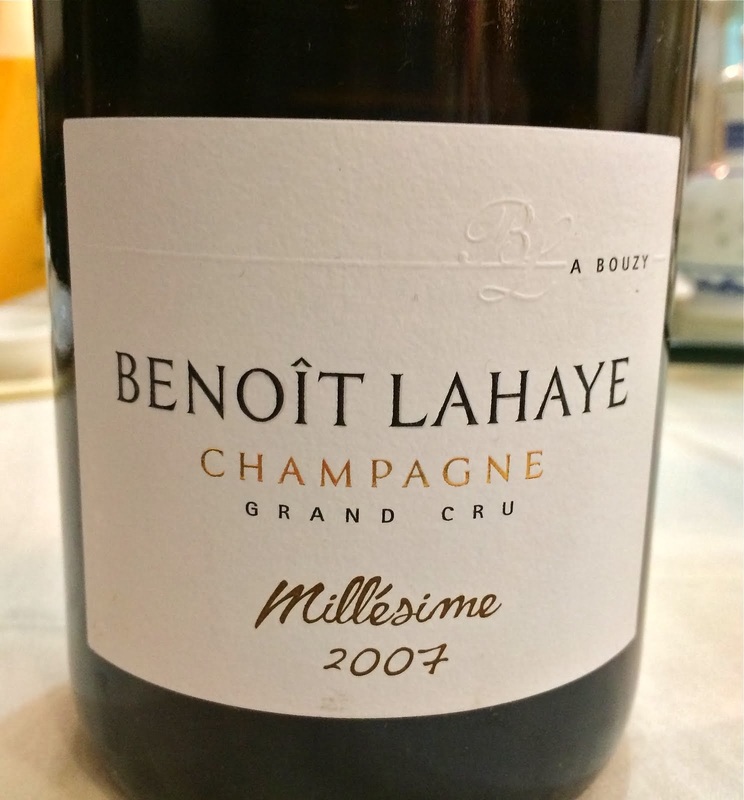 Why would this famous wine maker, this man whose father's and now his own life's work has been to make these great Vouvrays at Domaine Huet - why would he leave before reaching retirement age? In 2003 Huet was sold to the Hwang family and it was widely reported that Noel Pinguet resigned because of disagreements with the new ownership. Huet's wines are all well regarded, but it is my understanding that connoisseurs consider the off-dry wines to be the apex of their achievements. Supposedly the Hwang family wanted to reduce production of off-dry wines and focus on dry wines, and over the course of almost 10 years this created enough friction between Pinguet and the Hwangs to cause them to part ways. I felt upset when I heard about this because Huet makes wines that offer us as wine lovers a rare opportunity - to drink the very finest wines of their type at an affordable price. Huet's dry wines sell for under $30 and the off-dry wines are in the mid $30's. And we are not talking about the world's finest Vidal Blanc here - this is Chenin Blanc from Vouvray, unquestionably one of the world's greatest white wines, when well made. So with no more Noel Pinguet, does this mean that the wines will be different? I don't see how they could stay exactly the same. Although SF Joe, one of the biggest American collectors of Huet wines, told me not to worry because the assistant wine maker under Pinguet took over after he left, and made no changes. I hope this is true. Or at least, I hope that whatever changes this person makes are well-considered and come from years of apprenticeship and discussion with Pinguet. I found off-dry wines to buy in 2008, 2009, and 2010, but I have not seen any in 2011. I hear 2012 is another year that might produce only dry wines. I would verify this by looking at the Wine Doctor's site, but whoops - you have to subscribe now for about $70 per year. I generally buy a few bottles each year, a mix of dry and off-dry wines. And I try to wait for them to mature. These wines, particularly the off-dry wines, improve with age for a very long time - many decades. Recently I had the chance to drink a few bottles with just a bit of age on them. They were spectacular. One thing that happened for me after drinking these wines is that they reminded me of the story of Noel Pinguet leaving, and of how much I want today's wines, in time, to become like the ones I recently drank. I drank the 1993 Huet Le Mont Demi-Sec last month with simply prepared swordfish during a weekend trip to a friend's house in Martha's Vineyard. 1993 was not a terribly good vintage and this wine doesn't get rave reviews. We loved it, though. It definitely showed maturity - this is not a vibrant and energetic wine. But it was all class, and pure pleasure. I bought the wine a few weeks before opening the bottle at Chambers Street Wines - according to their website there are still 2 bottles left! Here are my notes from that night: Needs a little air to open up and then shows lovely toffee and gingery notes on the nose with a strong saline undertone. The aromas promise something rich and with discernible sweetness but the wine does not taste as sweet as I expected, not at all. 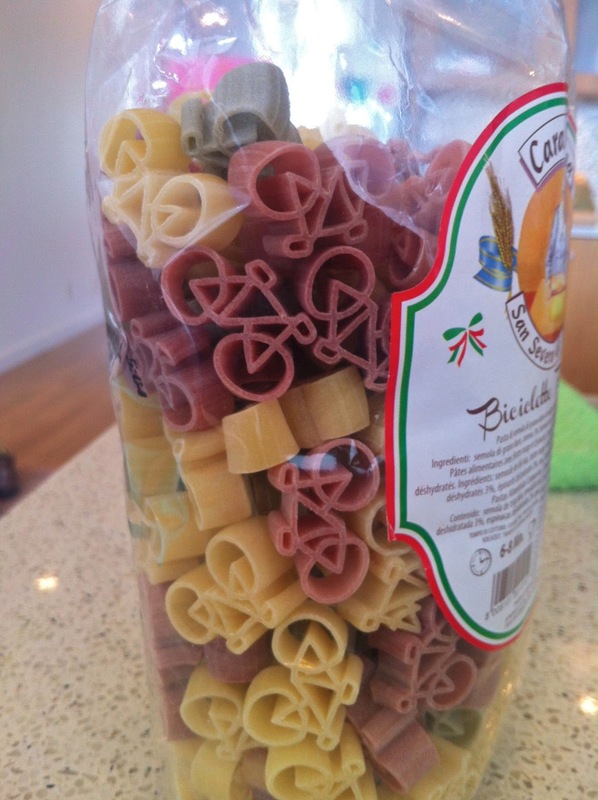 There is plenty of acidity to balance it. The clean and clear flavors are pretty and expressive, but this is not as complex a wine as I've had from other, better vintages. 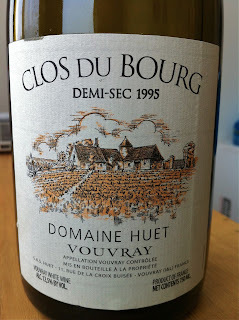 That said, this is a very good old Huet and it was a pleasure to drink. 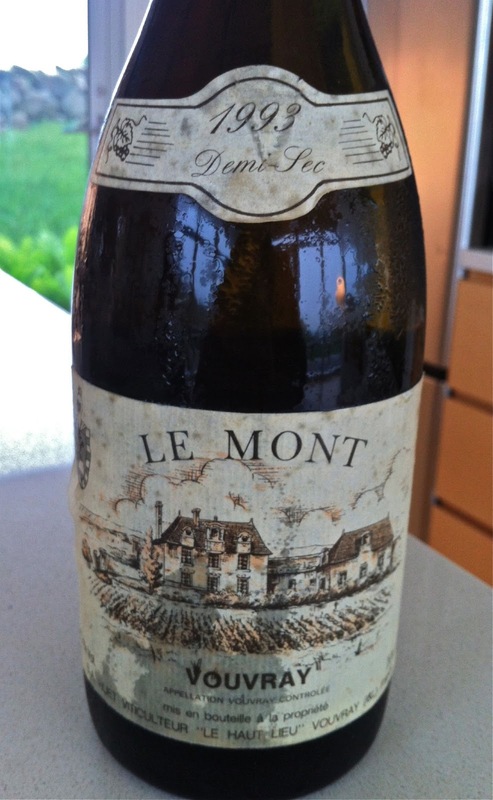 That same weekend my friend brought along a 2004 Huet Le Mont Sec, and we drank that too. Also, not considered to be a great vintage. We drank about half the bottle on day one and it was all wound up and hard to figure. Thankfully we waited to drink the rest until the next day. On day two it was glorious! So harmonious and fine, such finesse, such a rewarding thing to drink. The wine showed classic waxy and woolly aromas, apples, pears, honey...Complex, balanced, unmistakably Vouvray, absolutely delicious. Quite an advertisement for cellaring the Secs. Anyway, you already know the old vintages are great. But how about the recent vintages, anyone have thoughts they care to share on the wines? Have they changed, or is it still the same old great Huet? This is a big deal, honestly. And it happened by mistake. 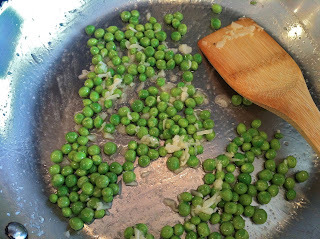 A few friends were over for dinner the other night and someone said that the term "foodie" is dated. That a person who uses the word "foodie" is a little bit charmingly clueless. 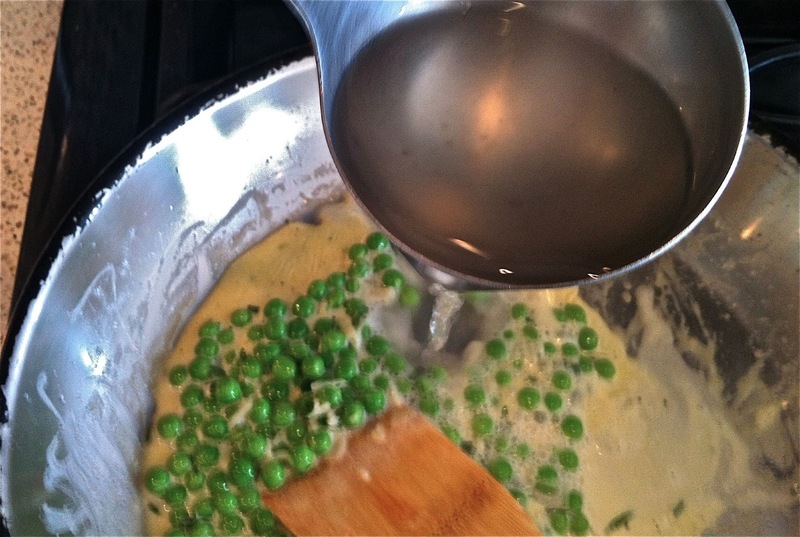 For example, imagine that you are making brunch at your mom's house and your aunt sees you chopping chives and sprinkling them on scrambled eggs. "Oh, are you a foodie?" She asks. Does she think that chives are so outside of the realm of the typical home cook that your using them means you are a foodie? Or does she mean to say that you clearly enjoy preparing and eating good food? We laughed and talked some more about words for food and people who love food. At one point I was trying to share an idea and I meant to say "hipster foodies," but that's not what came out. Instead, I said "hippie foodsters." 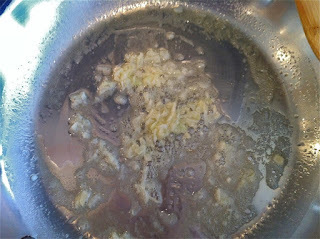 And much as Alexander Fleming's mistake in the laboratory gave us penicillin, I give to you...foodster. Foodster! I searched for the term on the internet and it seems that some one may have discovered this word at some point, but Urban Dictionary has defined it incorrectly, in my view. It defines foodster in the following way: "The unholy fusion of a foodie and a hipster." I agree with this part. But it goes on to say "Persons that need to be annoyingly cool about using non-mainstream ingredients or techniques while cooking." 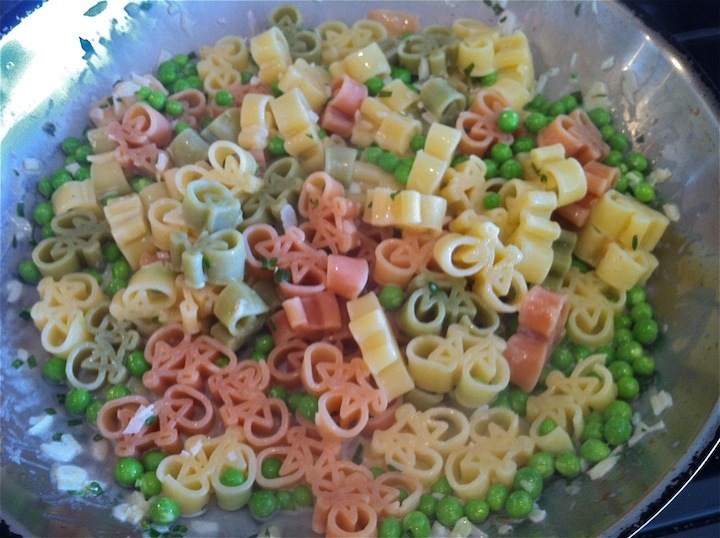 See, I think that a person can be a foodster without using non-mainstream ingredients or techniques. A person can make whipped cream, for example, and be foodster about it. There is nothing esoteric about whipped cream. Canned whipped cream - we can certainly do better than that. But imagine a humorless 26 year old guy with a waxed mustache in a lumberjack plaid shirt tucked into a pair of dirty shorts standing behind the counter at the Great Googa Mooga who, after a 45 minute wait on line, treats you to a squirt of his locally sourced, antibiotic and hormone free whipped cream on a Hudson Valley grown buckwheat cracker. His whipped cream might taste great, and I'm glad that people will support locally sourced food products, especially from animals that are not crammed with antibiotics and the like. That's exactly what I want to eat. But this dude and his whipped cream, however, are still foodster. Foodster is more about attitude than anything else. Same with hipsters, if you think about it. I watched a guy ride up to the food coop the other day. He dismounts, locks his fixed gear bike, removes his helmet. Red hair combed in a side part, red beard, glasses with wood frames, dirty v-neck tee-shirt tucked loosely into shorts, socks pulled high, canvas high top sneakers that were not Converse, something that preceded Converse maybe, and tattoos on arms and calves. He walks into the coop, and then another guy pulls up, this one with brown hair, in exactly the same outfit! Not similar - exactly the same outfit. I'm telling you, these hipsters arrived like planes timing their descent to LaGuardia. Before the second guy walked into the coop, he screwed up his face into a very serious expression, took a worn little moleskin pad out of one of his paniers, and used a knobby little pencil to write something down. What I appreciate about these guys is that they are absolutely humorless about their whole presentation. It's as though they arrived on Earth this way - they were born in precisely the correct canvas high tops and with that gel in their hair. It's the attitude. They might be guys of true quality with a lot to offer the people in their lives and to their community, but the attitude makes them hipsters. Same with foodster. 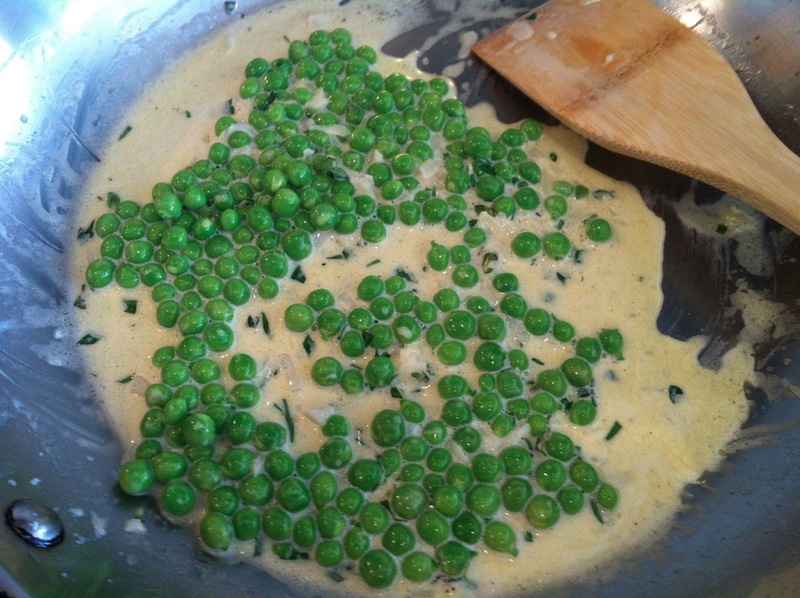 Food can be of high quality, made with great ingredients, prepared skillfully. 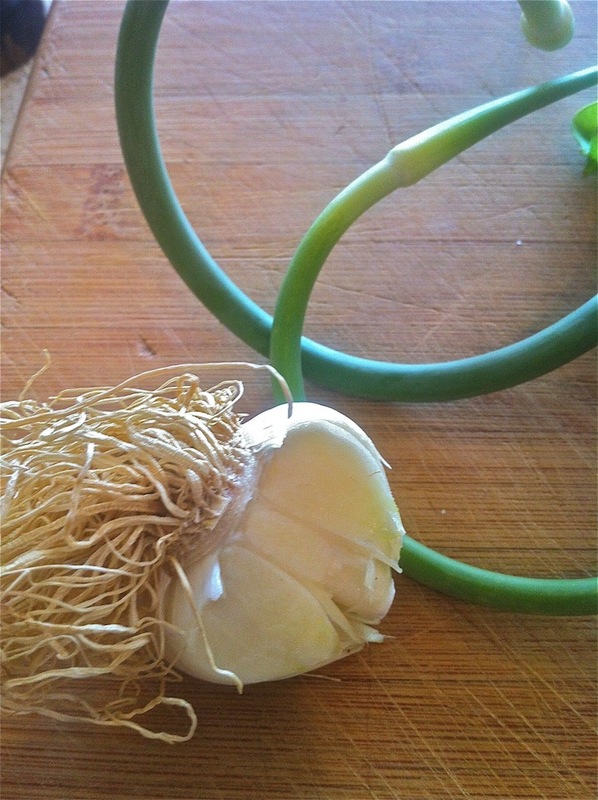 But if the attitude is precious, pretentious, or humorless about it's food culture aspirations, it is foodster. For example, Blanca, the second restaurant by the Roberta's team. 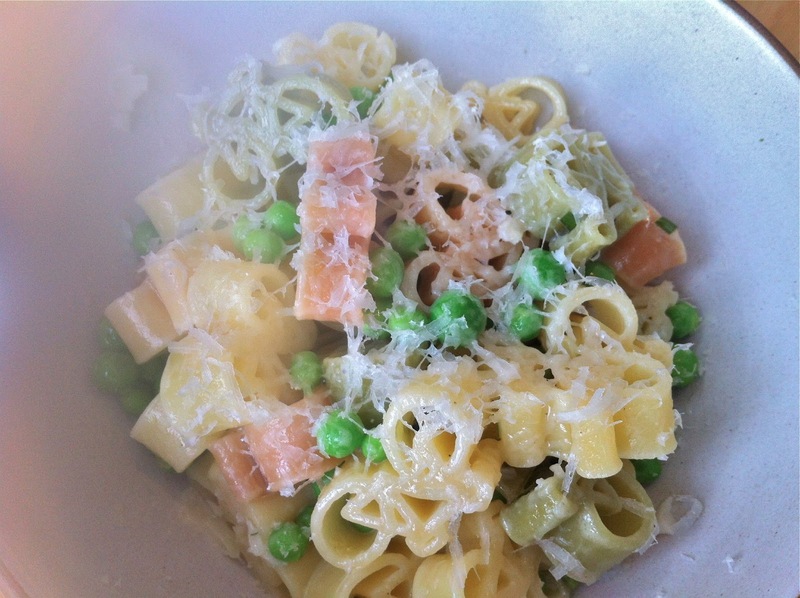 It might be utterly brilliant food, but it is foodster. Atera - that place is foodster. Smorgasburg - that's foodster. The Red Hook ball fields food vendors, not foodster. Mayonnaise - normal. Hellman's mayonnaise - hipster. The Empire Mayonnaise store - foodster. A lobster roll is not inherently foodster - quite the opposite. 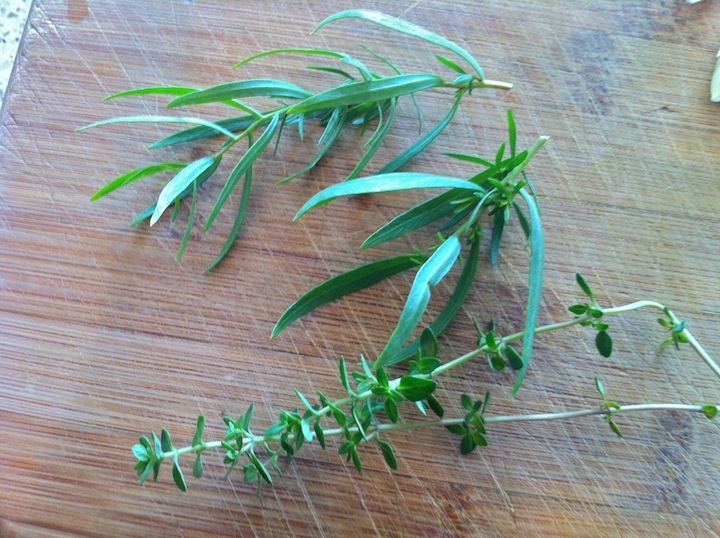 But think of how little attitude you must garnish it with for it to become annoyingly foodster. Foodster is a vaguely derogatory term. It is both a noun and an adjective. 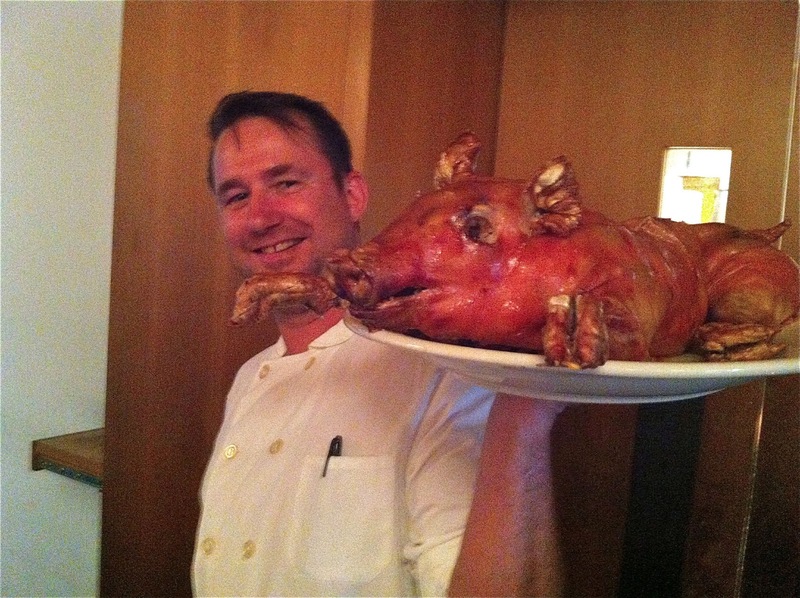 A foodster is a person who adopts a humorless and pretentious affect while jumping on the bandwagon and doing whatever all the other food hipsters are doing, like making their own headcheese from a pig who spent her life foraging in the backyard in east Williamsburg. Foodsters are the people and the attitude that the Portlandia folks are making fun of in "We Can Pickle That." - food trucks, especially those selling Korean tacos. - celebrity baristas, like Erin McCarthy (do yourself a favor and watch the video). - restaurants that force you to experience a 4-hour tasting menu. - $8 ice pops with flavors like plum-lavender or buttermilk-tarragon. 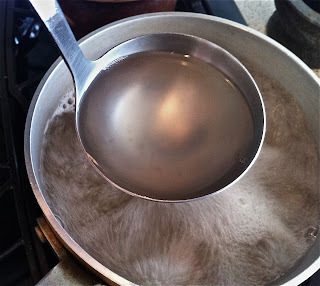 I've been making fish soup for years, ever since I learned how easy it is to make fish stock. 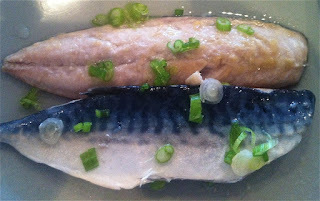 Type "fish soup" into the 'Search this Blog' box on the left sidebar and you'll see a load of posts that include my attempts at fish soup. Just made my first of the season and wound up going for a saffron, tomato, and chili flake version. Honestly, it was very good. One night I drank a Provence rose with this soup, always a winning pairing. 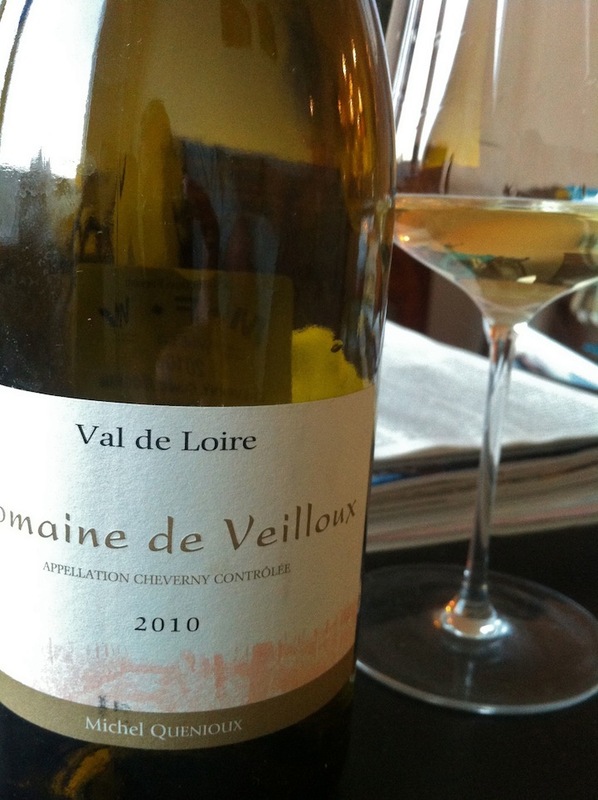 Another time I opened a bottle of 2010 Domaine de Veilloux Cheveny Blanc. This is an absolutely lovely little Loire Valley wine that Mike Wheeler's MFW company imports, and I bought it for under $15. It's mostly Sauvignon Blanc with a little Menu Pineau in there too. I've liked everything I've had from the Loire Valley in the 2010 vintage, and this is no exception - it's crisp and fresh and quite energetic, with herbal and creamy flavors, and it's well balanced and complex on the finish. 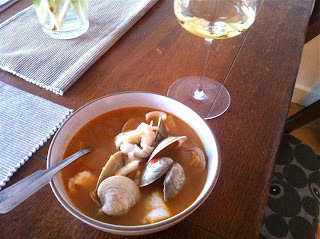 The acidity worked well with the rich and slightly spicy soup. There hasn't been a lot of Mackerel this year, not that I've seen anyway. These pieces were so fresh and pretty that I merely dabbed them with a bit of miso and mirin glaze and put them under the broiler. At home I cannot reproduce the amazing golden char that Japanese restaurants are able to achieve, but mine are delicious nonetheless. Many white wines are delicious with broiled Mackerel but on this night I went with a chilled Poulsard, 2011 Tissot Poulsard Vieille Vignes, and the fish brought out the savory side of the wine, while at the same time the wine brought out the sweetness of the fresh fish. Oysters are a pleasure that I haven't learned to love with the same gusto as some other folks. 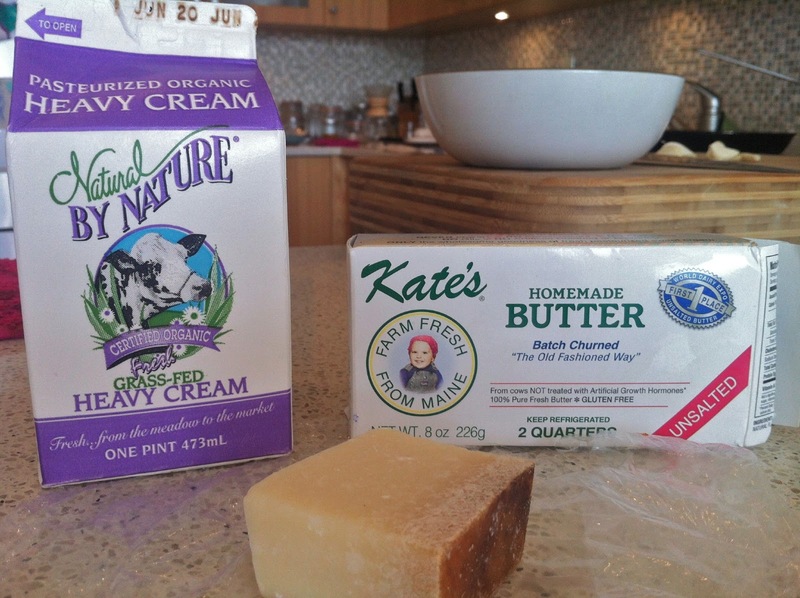 But maybe it turns out that it is the large east coast variety that I do not love so much. 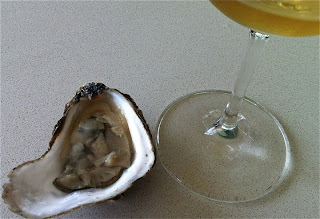 That said, I was in Martha's Vineyard recently with a good friend and he loves the locally farmed oysters. I must say that with a bracing glass of the beautiful Emilio Hidalgo Fino La Panesa, this was a lovely experience. And bay scallops? SO delicious, and they require no cooking. If you trust your fish monger, (and why would they be your fish monger if you didn't trust them), just pop them in your mouth. Or, add a little bit of olive oil, sea salt, and lemon zest. 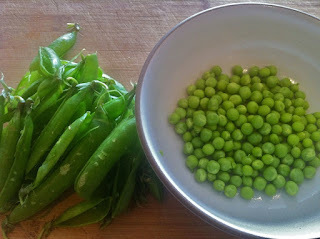 We ate these while making dinner, while drinking the lovely NV Agrapart Brut Les 7 Crus Blanc de Blancs. 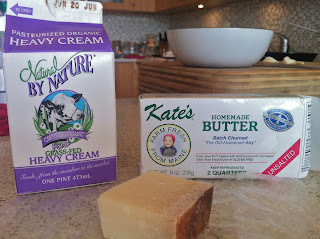 This was such a great pairing! 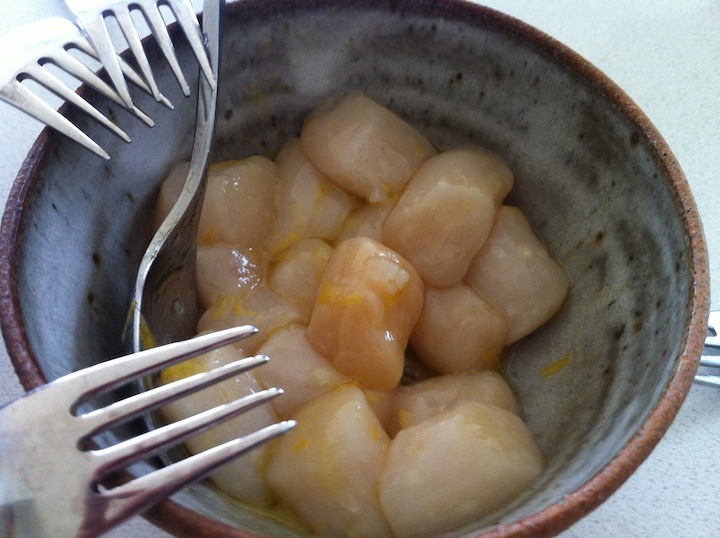 Okay, scallops and Champagne, not so hard. But Agrapart's style, even in this, the house's basic wine, is one of focus and finesse. There is nothing sticking out and the wine is quiet. It would not be understood in a large tasting, I imagine. But with bay scallops, whose delicate flavors I did not want to obscure in any way, this wine was perfect. And sitting there at the kitchen counter enjoying the subtle and chalky citric tones of the wine with a bay scallop or two...pas mal. That's it, just a little gratuitous seafood. You know, to whet your appetite.